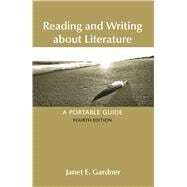 Janet E. Gardner (PhD, University of Massachusetts, Amherst) was formerly an associate professor of English at University of Massachusetts, Dartmouth, where she taught courses in drama, British and world literature, and writing. She has published numerous articles, reviews, and chapters on contemporary drama, especially modern British drama and the work of Caryl Churchill. She has received several grants and awards for research into current teaching technologies. Joanne Diaz is an associate professor in the English department at Illinois Wesleyan University. Her collections of poetry include My Favorite Tyrants (winner of the Brittingham Prize, University of Wisconsin Press, 2014) and The Lessons (winner of the Gerald Cable First Book Award, Silverfish Review Press, 2011). Her poems have appeared in AGNI, The American Poetry Review, At Length, The Missouri Review, Poetry, The Southern Review, and Third Coast. She is the recipient of fellowships from the Illinois Arts Council, the National Endowment for the Arts, the Bread Loaf Writers Conference, and the Sustainable Arts Foundation. As a contributor to the Bedford/St. Martin’s LitBits Blog, she shares her insights on literature, writing, and pedagogy. STUDENT ESSAY: Research Paper: Jarrad S. Nunes, "Emily Dickinson's 'Because I could not stop for Death': Challenging Readers' Expectations"